A great day at Spinners Mill for their Portsmouth tournament. A lovely venue, set in the heritage site of Leigh Spinners Mill, one of the largest cotton spinning mills in Greater Manchester, a grade 2 listed building that is still partly in use as a manufacturing mill. 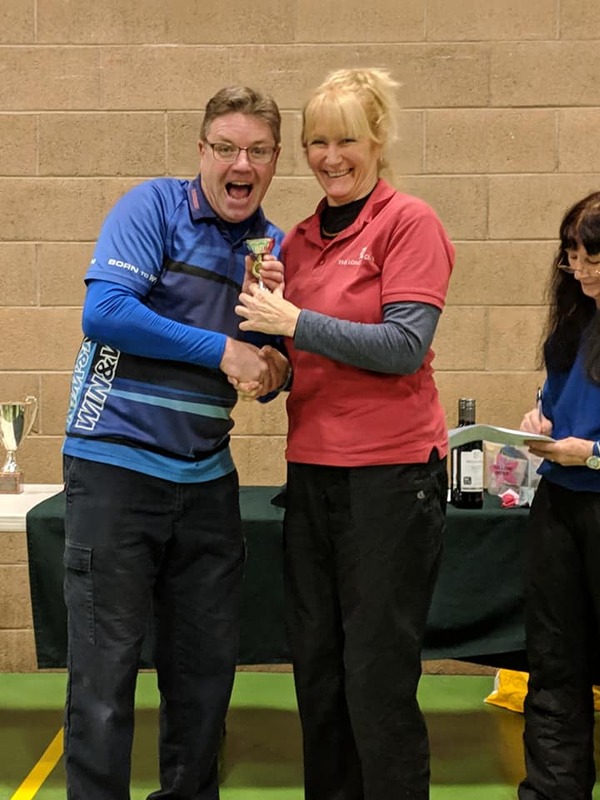 The Longbow Club was out again looking for silverware and they did not disappoint with Katrina Horton taking 1st Lady Longbow, Ian Stowell 1st Gent Longbow and Chris Eccles 2nd Gent Longbow. 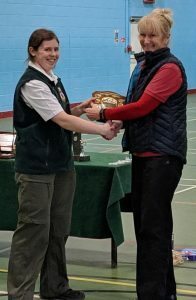 A great day at the Kendal Bowmen – 42nd Club and Open Indoor Portsmouth. A very pleasant and easy drive saw us arrive in plenty of time. 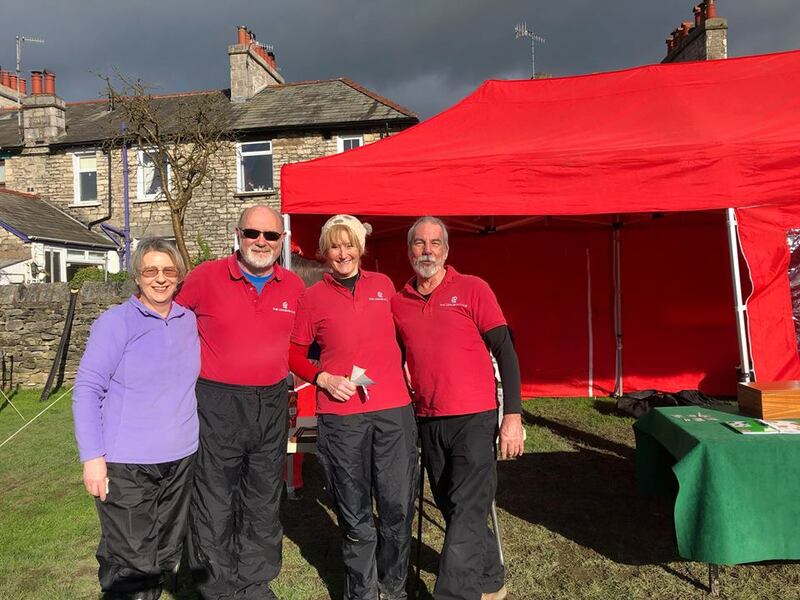 Following a nice easy and relaxed lunch in the Wakefield arms, we returned for the presentation where Katrina Horton was first Lady Longbow and Chris Eccles was first Gent Longbow. Thank you to all Kendal Bowmen club members for making this such an enjoyable shoot. A good time for their first outdoor shoot of 2019. A Metric Clout at Sherwood Archers in a lovely setting. It was a little bit chilly and wet in the morning and windy with some sun in the afternoon. This was their first time shooting theirr heavy clout bows since last season. 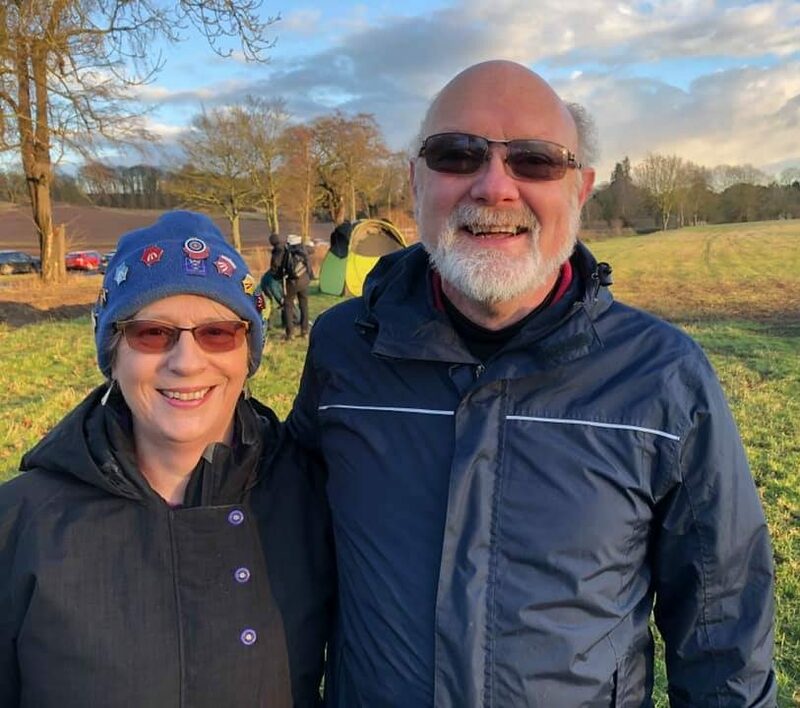 Alison Williams was 2nd Lady Longbow and Steve Williams was 2nd Gent Longbow. Congratulations everyone on today’s shoot, a great time was had by all. 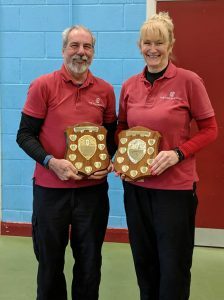 Not quite a clean sweep today but The Longbow Club took the team award, 328 ahead of their nearest rivals, Katrina took 1st Lady Longbow, Lord Ian was 1st Gent Longbow and Mike was 3rd Gent Longbow. Congratulations everyone on today’s shoot, a great time was had by all. 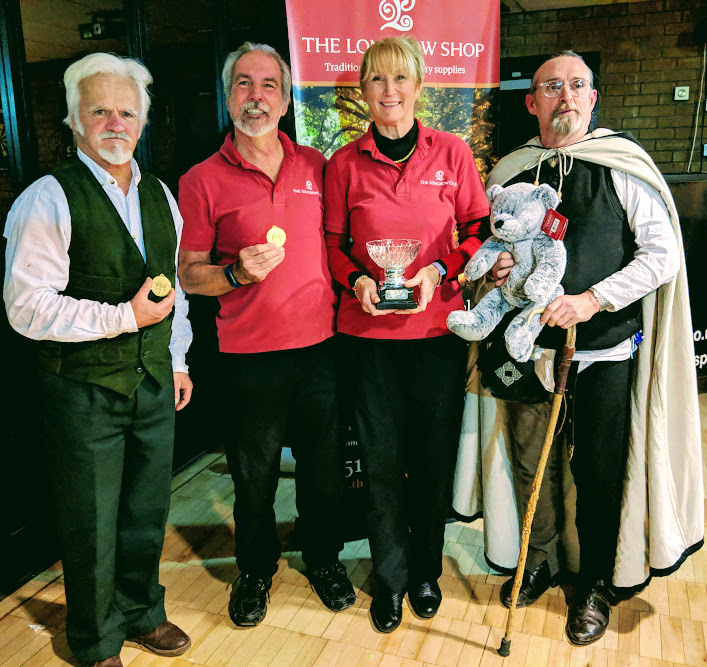 Katrina Horton took 1st Lady Longbow, Lord Ian Stowell was 1st Gent Longbow, Chris Eccles was 2nd Gent Longbow and Mike Christison was 3rd Gent Longbow….talk about a clean sweep. 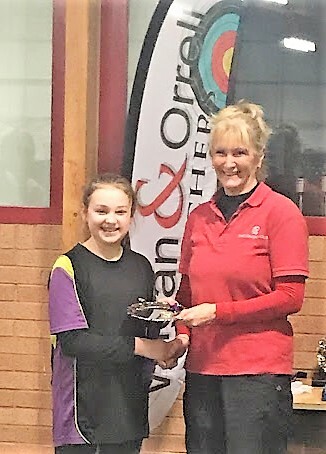 Good day at the Wigan and Orrell Indoor Competition, it was great to catch up with everyone. 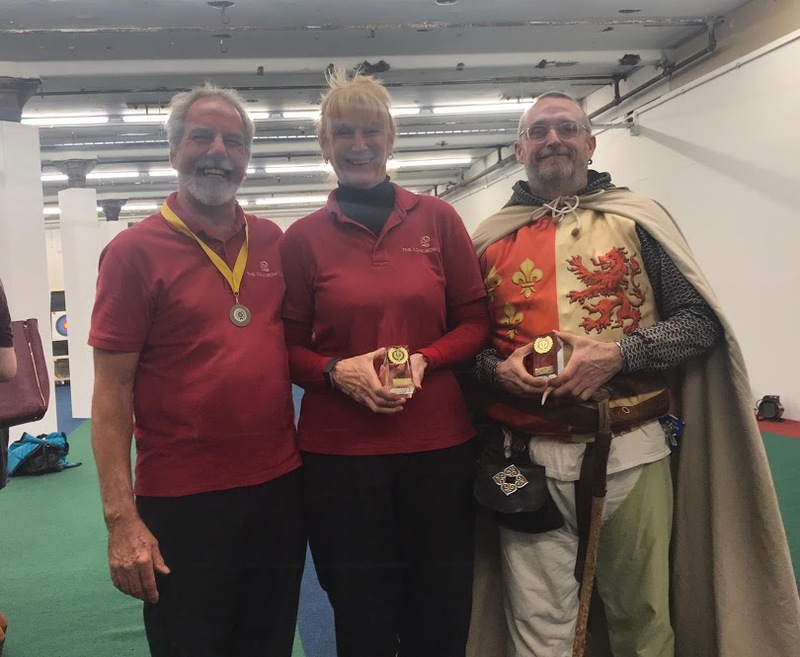 Katrina Horton was 1st Lady Longbow, Lord Ian Stowell was 1st Gent Longbow and Chris Eccles was 2nd Gent Longbow.